With an increasing number of people using their mobile devices at work, adapting to mobile technologies is becoming more and more essential for businesses. They need to take advantage of this trend and also address the challenges it creates. Forrester Research predicts that companies will invest more than $55 billion to redesign their core processes to take advantage of mobile technologies. They have identified customer engagement, process acceleration, employee productivity and new business services as areas which will be transformed by mobile technologies. With the sharp rise in usage of smartphones and tablets in work, businesses are looking to leverage this trend to their advantage, which has led to a mass transformation of many business critical applications. 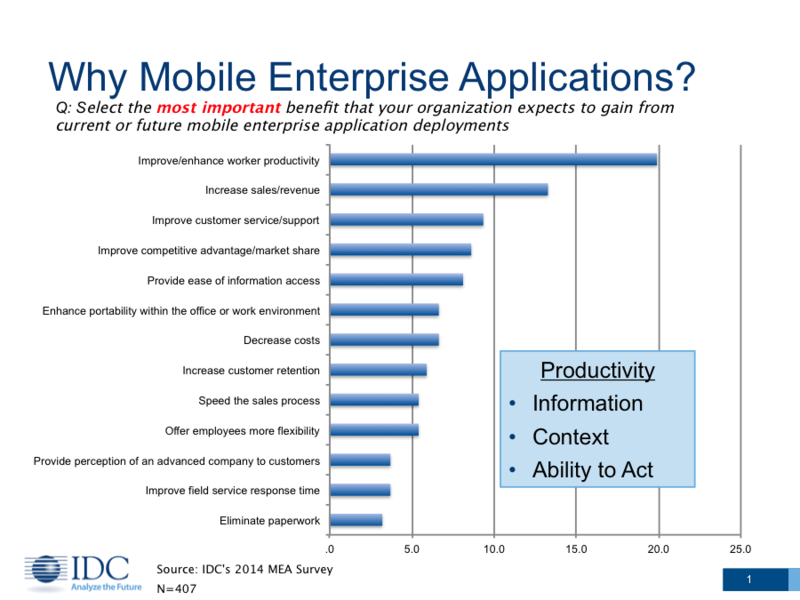 IDC also found in a survey that improving worker productivity was the most important benefit organizations were looking to gain from mobile enterprise applications. Enterprise Content Management (ECM) applications have a pivotal position among these business critical applications by being the most widely used and commonly accessed business application in an enterprise. Having a mobile ECM system will significantly improve employee productivity at an individual level and workforce collaboration at an organizational level. It will allow accessing and leveraging content anywhere anytime on any device. The improved responsiveness of knowledge workers will also increase the efficiency of business processes. Below is our review on how the ECM applications of OpenText Content Suite, Alfresco One and Microsoft SharePoint handle mobile access. What kind of thin and thick mobile interfaces do they provide to their applications? How do they handle security which is the most prominent challenge that a mobile ECM application poses to businesses? And last but not least, how do they fair in providing optimized mobile interaction with content and workflows? OpenText provides a native iOS, Android and BlackBerry app of its ECM application, which they’ve called OpenText ECM Everywhere. OpenText also provides an optimized mobile web interface that can be accessed through any standard internet browser on any mobile device. OpenText provides secure and audited access to its ECM application through both mobile app and mobile web interfaces. Users have the ability to view content through both mobile interfaces. The ability to upload, create and edit content is available through the native mobile app. Users also have the ability to interact with workflows and forms through native mobile app. Additionally OpenText optimizes the content delivery on mobile devices for a better mobile experience. OpenText also gives the ability to develop custom mobile applications, through a provided API, to tend to specific needs and use cases. Alfresco provides a native iOS and Android app of its ECM application. It lacks an optimized mobile web experience though. Compared to the other two ECM vendors, we find Alfresco providing the most comprehensive security features through its mobile app. It provides secured and audited access to the ECM application and allows users to download/sync documents to mobile devices as well as set expiration periods for that content. Alfresco’s ECM app keeps content encrypted on a mobile device. Optional password re-entry on each app use can be set and the app is compatible with market-leading Mobile Device Management solutions. Users can enforce read-only access to content and can control which mobile apps can open ﬁles. The ability to remote wipe lost or stolen devices is also available. 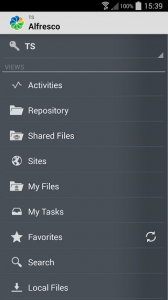 Users can upload, create, view and edit content as well as interact with workflows and forms through the mobile app. Like OpenText, Alfresco also has a development API allowing developers to create custom mobile applications to tend to specific needs and use cases. Secured authenticated and authorized access to the ECM application is provided through both mobile apps and mobile web interfaces all activity is tracked for auditing, though there is no way to tell that the user was using a mobile versus a desktop. A set of security features like remote wipe for lost or stolen devices and password policy implementation are available if Microsoft Exchange ActiveSync is configured on the phone. 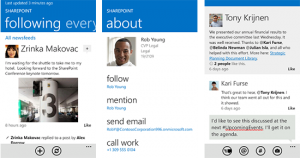 Microsoft SharePoint allows content to render in multiple layouts to accommodate different device displays. Updates, such as a tile or toast notification to a Windows Phone device, can be sent. 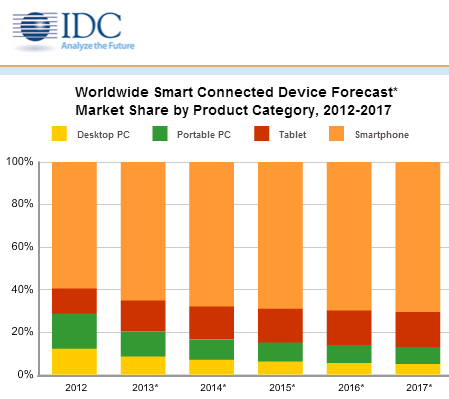 Mobile optimized business intelligence content can be viewed on limited mobile devices. Like OpenText and Alfresco, Microsoft also provides an API and the ability to create custom mobile applications for your business ’specific needs. It is essential for businesses to determine how mobile their ECM application is to allow users to get access to critical content and processes anytime, anywhere on any device. Businesses that are investing either in a new ECM application or upgrading a current one to take advantage of the mobile features of the application, should consider the mobile interface and its ability to securely support mobile optimized interaction with content and workflows. General Networks’ content management consultants have 18 years of substantial experience building, deploying, and supporting content and document management solutions. We have extensive experience in mobilizing enterprise content management applications of OpenText Content Suite, Alfresco One and Microsoft SharePoint. If you’re interested in finding out how your organization can benefit from a mobile enterprise content management application then contact us now.